"We walked over the bridge in Milwaukee/Past the statues of Fonz and the duck. With the wind kicking in/and the sparrows all running amok," sings Aimee Mann in her signature hazy alto-drone at the opening of "Milwaukie," the second track on The Both's self-titled debut. Then, BAM!, punk singer Ted Leo's steady, punchy voice joins into a duet, elevating Mann's foggy and temperate verse, and together the two stumble arm-in-arm into a fond and friendly chorus, repeating in tight harmony, "It's a nucleus burning inside of itself." An inclusive inflection licks the end of the chorus, punctuated with infectious hand clap percussion and Mann's meandering baseline, the song is the catchiest power pop released by either of the two artists in their combined 57-year musical career. 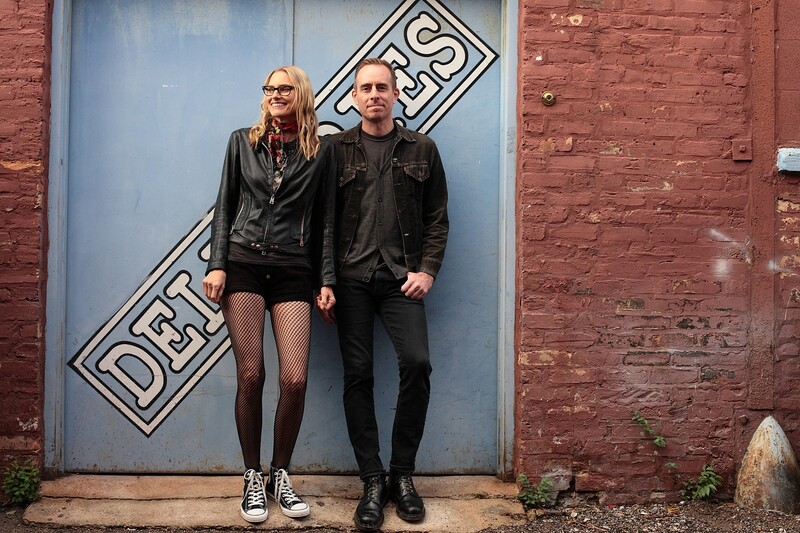 Mann said she remembers the night referenced in the song when, while on tour, she watched Ted Leo open her Milwaukee show and decided that the pair should start The Both. "It was a time on tour when we really bonded and said, 'Maybe we can do something together,'" remembered Mann. She said that the lyrics of the song are inspired by the very real and awkwardly proportioned statuary along the Milwaukee Riverwalk. "I started coming up with these words remembering this dumb day. It's so dumb to have references to the statue of the Fonz, but as I went along and played it for Ted, we said, 'This is so dumb we have to keep it.'" After the tour ended Leo and Mann began distance writing their first album, originally conceived as an EP, and eventually released as a full-length LP. Sometimes writing whole verses separately, sometimes collaborating, Mann and Leo's powers combined are greater than the individual strengths of either artist. Leo's ragged edges are smoothed by Mann's voluptuous velvet vocals and Mann's tendency to pall is punched up by Leo's punk edge. "You edit your own songs, but that has become a turgid process," explained Leo. "It feels like a chore when you're doing it alone. I've come to the end of a batch of songwriting and fallen on the floor crying because it was such a slog to get there. When we got over our initial ego challenges of, 'Oh, my ideas are being challenged,' it became fun to treat every song like a puzzle." The puzzle pieces of The Both's unlikely pairing has the chemistry and the longevity to elevate both careers. "It's just more fun to work with another person," said Mann. "Neither of us are real control freaks, we're not the person who needs to make every decision. The Both is really so much more fun than my solo stuff that I can't picture going back to it." Athletic Club of Bend, 61615 Athletic Club Dr. $30.